There's my girl I need a kiss. You'll live. Andy: There's my girl I need a kiss. 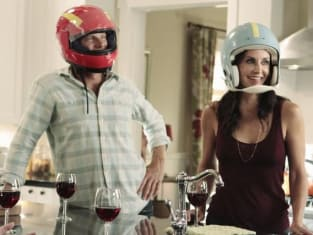 Cougar Town Season 3 Episode 3: "Lover's Touch"
Permalink: There's my girl I need a kiss. You'll live. Ellie: I miss being a ho. Laurie: You want back in? Because we'll take you back.